At the turn of the decade, there was one undeniable money music and making machine, and that was Cash Money Records. Known for hip-hop acts such as Lil Wayne, Birdman, Drake, and Nicki Minaj, the label made waves when it signed rocker Kevin Rudolf. He would go on to prove himself with his 2008 smash hit “Let It Rock”, which blended his rock sound with hip-hop production. “I Made It (Cash Money Heroes)” is the first single off Rudolf's second studio album To the Sky, which was released on iTunes on February 2, 2010. The song has three guest features from fellow Cash Money artists Birdman, Jay Sean, and Lil Wayne. Lil Wayne and Kevin Rudolf perform “I Made It”. The song is a pop rock inspired anthem that celebrates Cash Money’s rise to prominence and dominance. It features Rudolf singing the first verse, and the first half of each hook. Jay Sean gets his own verse and finishes the hooks, while Birdman and Lil Wayne each get a rap verse. Lyrically, it’s a pretty typical “on top” kind of song that celebrates how far each of these artists had come in order to be a part of Cash Money. It also serves as a celebration of cash Money’s sucess in a similar vain to many of the Young Money collaborations. There’s a bit of an easter egg from each artist in their verses as they all mention a previous hit of theirs. Rudolf references his most well known song “Let It Rock”, Birdman references “Always Strapped”, Jay Sean ends his verse with a reference to “Down” and Lil Wayne brings up his duet with Eminem “Drop the World”. This track is a throwback to the early 2010’s, and reminds us how big a force in the music industry Cash Money was. 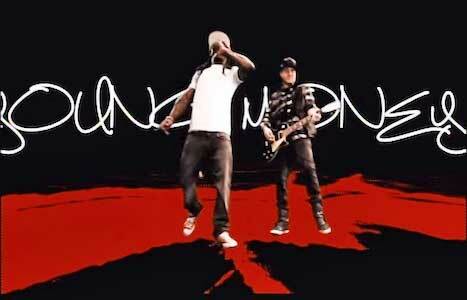 Wayne wears red chucks in the video. The music video features all the artists performing the song in front of a green screen. This allows graphics, lyrics, and old pictures of the artists to fly by on screen. This video also utilizes old clips from their music videos including “Lollipop” and “Let It Rock”. All these elements create a very cool visual style, and the red and black color scheme matches with overall look of Cash Money Records. However, what really makes this video cool is its use of old home movies of all the artists when they were younger. This includes the use of footage from early live performances, which really shows off how far each artist has come. In the video, Lil Wayne is wearing his typical beater tee, and black jeans which he pairs with stylish red chucks. This matches the grand color scheme of the video and label. This video highlights how big a wave Cash Money was riding at the time, and, looking back now, goes to show how all great things eventually come to the end. This video shows how far these four artists have come. Click on the links below to get a stylish new pair of chucks.